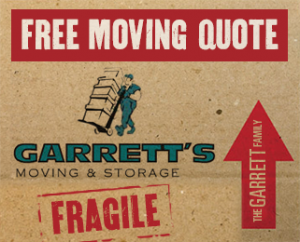 Garrett’s Moving and Storage are your Dallas movers. 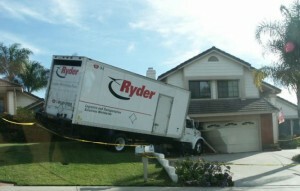 We’re fully insured and licensed with over 20 years of experience in local and cross-country moves. April is that one month of the year that you can unequivocally call Spring in Dallas. March still has its random cold snaps and May starts to get a bit too warm, but April is pretty much perfection. But we may be a little biased. After all, April and May are some of the biggest months for us, and the moving industry in general. In fact, these two months have the largest number of people going to new homes or new parts of the country for the whole year. That means a whole of lot of people scrambling to find a mover! Unfortunately, we recently came across a story we see way too often; a bunch of customers getting ripped off by their moving company. In this case, dozens of customers in New Jersey were the victim of a bait-and-switch scam by two moving companies. According to the article, the movers contracted with customers for moves costing a few hundred dollars, but then demanded payments that were three to four times the original agreed upon price. If the victims didn’t pay, they didn’t get their things back. New Jersey authorities shut both companies down and demanded they pay $21 million in compensation. It may be too little, too late however, as both companies are totally broke. We know that using a moving company can be a significant expense, especially if you are moving a long distance. And while you might get a seemingly great deal from Craigslist or another message board, you need to understand that there is a very real risk something could go wrong. At the very least, make sure the mover is licensed in the state it is based in. If they are registered with a moving association, that’s even better. Your Rights and Responsibilities When You Move in Texas is a must read for anyone that ever plans on moving (and that’s just about everyone). It talks about the importance of written contracts, insurance, and what to do if there’s a problem.